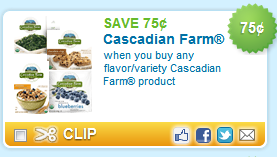 Here are the latest allergy-friendly printable coupons. Special thanks to Renaissance Mama for help in compiling the list! Disclaimer: I have not read the ingredient label of every product below. Please double-check the ingredient label for your particular allergen(s). Posted in Deals & Steals, Printable Coupons Comments Off on Printable Coupons (3/30): $.75/1 Silk, $1/1 Filipio, $1.50/1 Wholly Guacamole and MORE! Printable Coupons (3/23): Silk, Hormel Natural Deli Meat, Wholly Guacamole and More! Posted in Deals & Steals, Printable Coupons Comments Off on Printable Coupons (3/23): Silk, Hormel Natural Deli Meat, Wholly Guacamole and More! 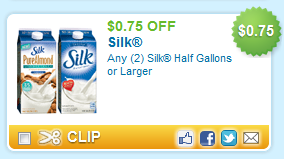 There are a few Silk coupons available to print this morning. It took me a while to find them because they are listed in the “food” category and not the “beverage” category.